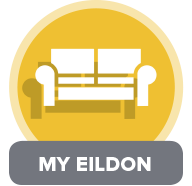 Reporting a repair is easy with Eildon Housing. See below for emergency and routine repairs. For more detailed information, please read your Tenant Handbook. Is your repair an emergency? Call the Eildon Repair Line on 03000 200 217, and select option 1. Note: If you call outside office hours, you’ll be transferred to our out-of-hours service. A tradesman on standby will carry out your repair. To report a non-emergency repair, please email us by clicking HERE. Please include a contact telephone number in your email, in case we need to call you about your repair. Or you can contact us during office hours on 03000 200 217. “Qualifying Repairs” are specific repairs which Eildon Housing undertakes to complete within a set time. For a definition of Qualifying Repairs, see the Tenant Handbook. This standard applies to housing associations throughout Scotland, and tenants may be compensated if these timescales are not met. *Note: Many repairs are not Qualifying Repairs! To check what qualifies, please contact us or see the Tenant Handbook. When you request a repair, we’ll tell you as soon as possible if it’s rechargeable to you. If you need to pay for the repair, we’ll let you know before the work is carried out. For a full list of who is responsible for repairs, please see your Tenant Handbook. When you end a tenancy, you’ll be advised of any repairs you need to carry out before leaving. If you don’t carry out this work, we will carry out the repairs, and you will be invoiced. Details are here in the Tenant Handbook. Before carrying out alterations or improvements of your own, you must obtain our written permission before the work starts. To do this, complete our Alterations and Improvements form. If you make improvements with our prior agreement and then move to another property, you may be able to get compensation. Condensation can cause damp in your home, which is bad for your health. To avoid condensation, keep your home warm and well aired. This is especially important in bedrooms. Drying clothes on radiators creates lots of moisture and can lead to damp and respiratory problems. Please avoid!